Here are the results from Dogwood’s June 2016 supporter survey. 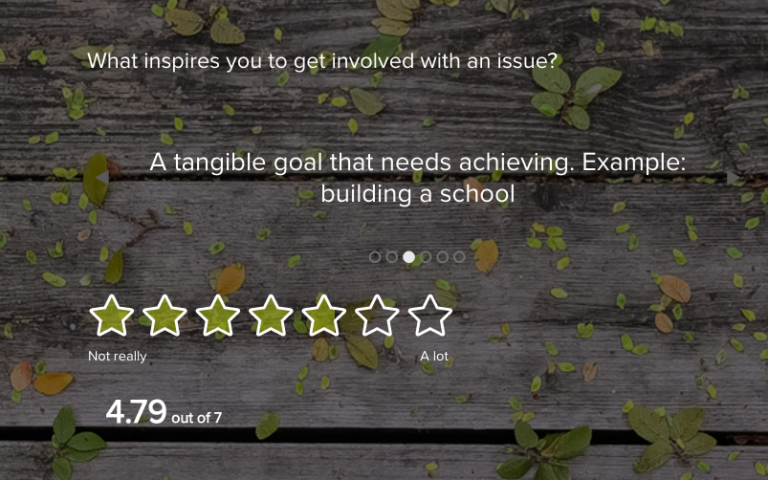 Check out how your answers match up to the thousands of others who responded. 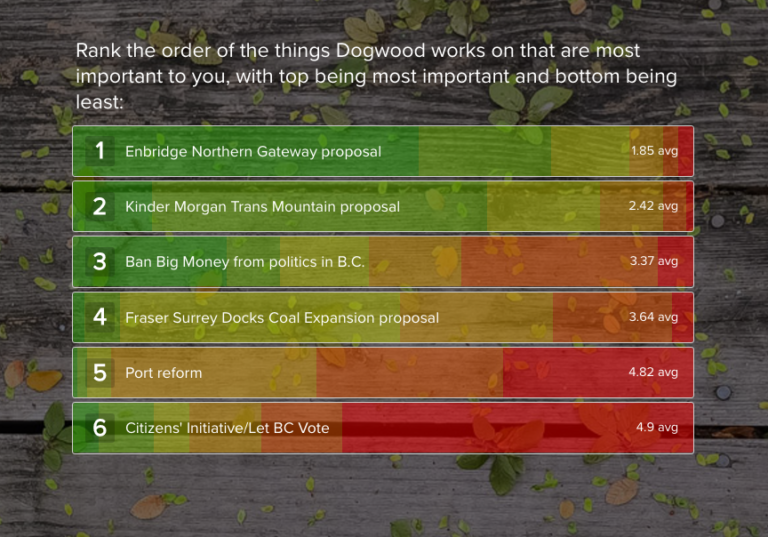 Most Dogwood supporters attribute a love of their local environment and fears around climate change as what motivates them to take action. 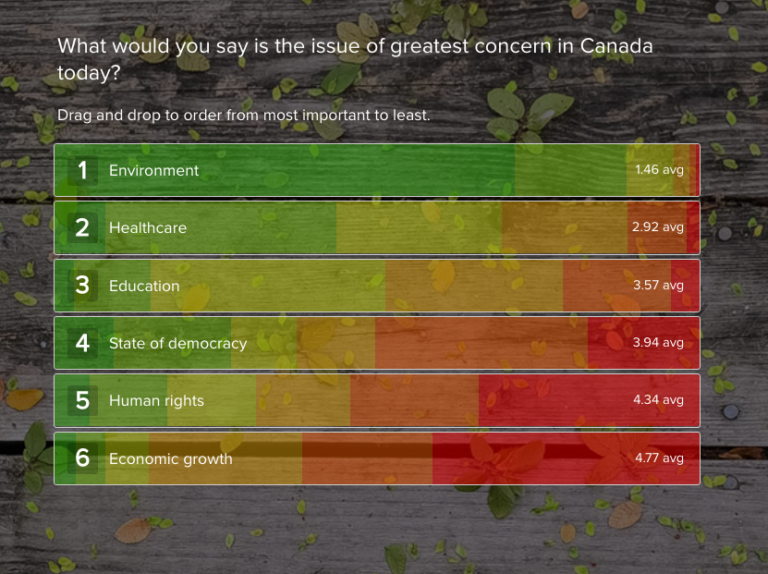 Without a doubt, most of you see the environment as the issue of greatest concern in our country. Dogwood supporters are most inspired when they have a tangible goal they are working toward accomplishing. Of utmost concern? The Enbridge Northern Gateway project, followed by Kinder Morgan’s proposed expansion. 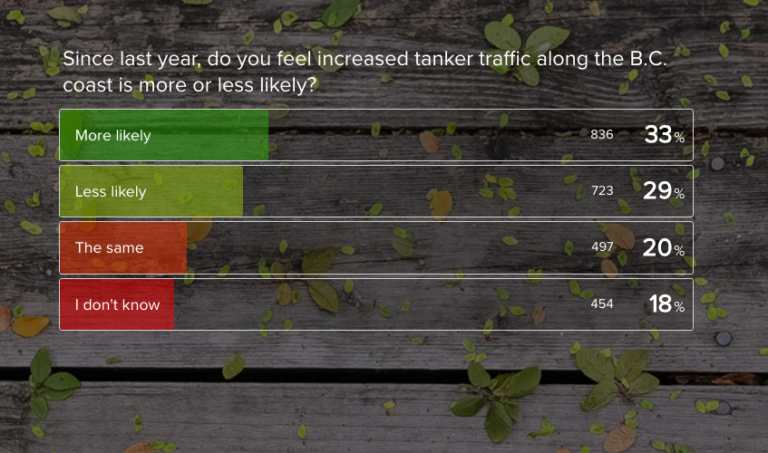 With the current climate and rumours of a Kinder Morgan approval swirling, many of you are wondering if increased tanker traffic along the B.C. is coast is more likely. Not far behind are those who believe the likelihood is actually less. 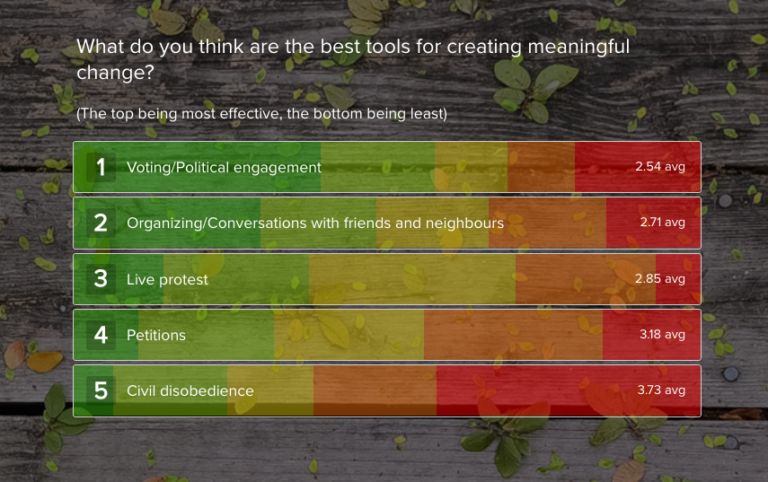 And finally, the top two methods Dogwood supporters like you believe create meaningful change? Political engagement and having conversations! We’re so proud. 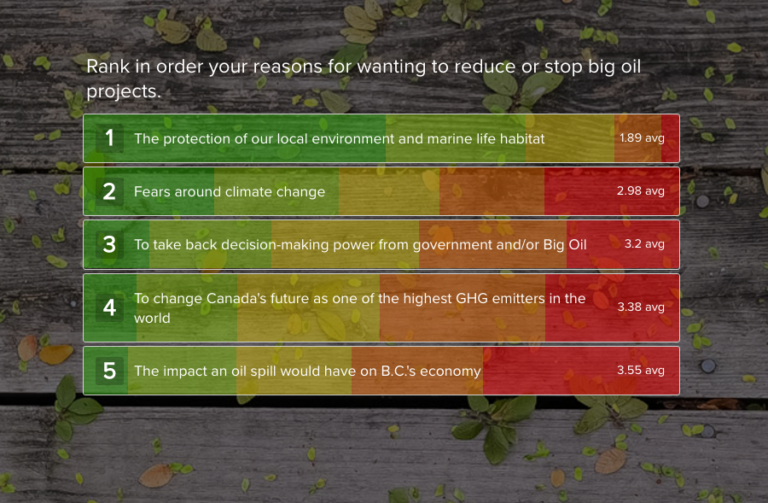 Want to make a difference in B.C.? Become a member of the Dogwood team!